What is a planogram? 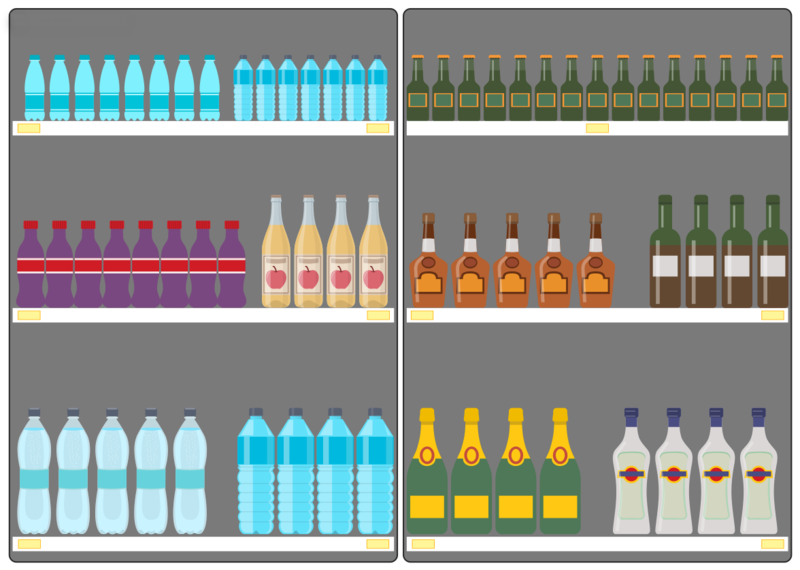 A planogram is a type of diagram widely used in merchandising and retail space planning, which visually shows how and where it is recommended to place retail products on the shelves with a goal to increase purchases by customers. There are used few theories for products placement: horizontal, vertical, block placement, at this is needed to take into account the popularity of specific brand and the economic efficiency of placing a specific product at the more favorable location. The effectiveness of created planogram is measured by the sales volume. The ConceptDraw DIAGRAM diagramming and vector drawing software extended with Enterprise Architecture Diagrams Solution from the Management Area of ConceptDraw Solution Park offers powerful tools for visualization the market analysis and easy making successful Retail Plans and Planograms with useful detailed recommendations about placing products and optimization the shelf space. Each shop, boutique or other retail sale point is a unique place with its own demands, requirements and customer preferences, so in each case it is required an individual approach and plan. The ConceptDraw DIAGRAM Planogram Software and Retail Plan Software will help you effectively design your individual plans of any complexity. 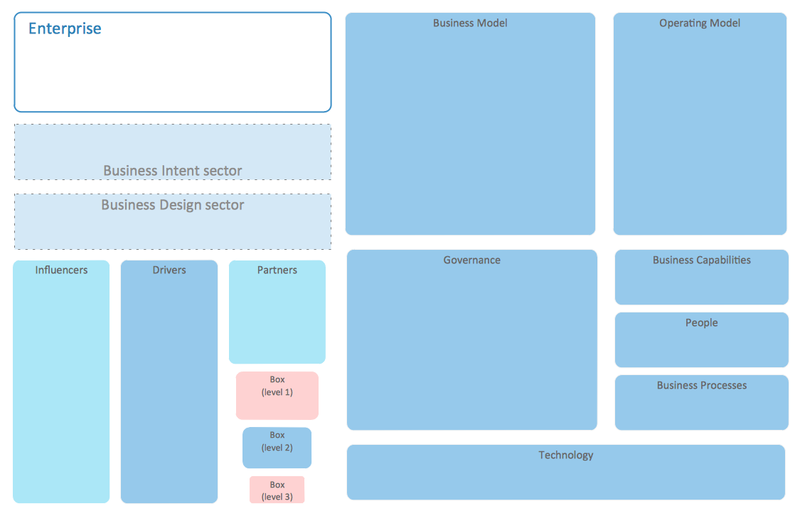 The Enterprise Architecture Diagrams solution for ConceptDraw DIAGRAM provides easy-to-use drawing tools, and Enterprise Architecture Diagrams library with a number of predesigned planogram and retail plan vector elements. All this collection lets facilitate as much as possible drawing exceptionally looking Planograms and Retail Plans. You can also use for filling your Planograms and Retail Plans the vector elements offered in plenty by other libraries of numerous solutions from ConceptDraw Solution Park. All solutions and their libraries are available for using from ConceptDraw STORE. 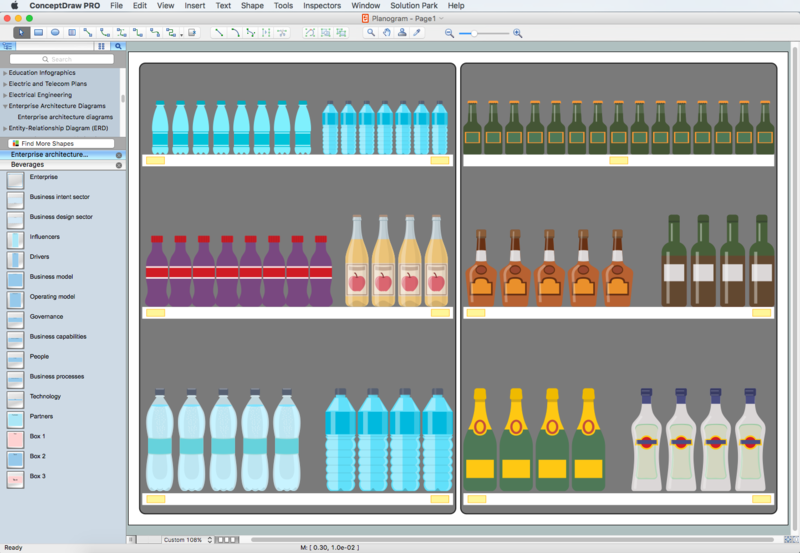 ConceptDraw DIAGRAM gives you the perfect choice - design your own Planograms and Retail Plans at new blank ConceptDraw document using the predesigned library objects, or use as the base one of predesigned samples from ConceptDraw STORE and simply change it according to your needs. You don't need to be an artist to draw professional looking plans in a few minutes. Great number of predesigned templates and samples give you the good start for your own planograms and retail plans. A layout is a way that furniture is arranged in some place. It’s not difficult to develop a store layout using software with tons of templates and libraries with vector shapes of furniture, doors, walls etc. Create a plan in five minutes and have more time to implement it. Designing the floor plan for a new store is very important step for a small business. Well thought out and well-done floor plan is the foundation of the store layout. It should provide a basis through which to make out and organize everything else. Sometimes a small stores have a small floor space, so well thought out arrangement of furniture and commercial equipment is crucial to the success of the business. By using the ConceptDraw Floor Plans solution you can make a floor plan for your store quickly and effortlessly. The ConceptDraw DIAGRAM v12 Home Design Software extended with Floor Plans solution from the Building Plans area of ConceptDraw Solution Park offers the powerful tools which will help you in easy developing vivid and professional-looking: Building plans, Home plans, House designs, Floor plans, Home interior designs, Furniture and equipment layouts. Working with information can be quite tedious, furthermore, some data can be quite difficult to perceive without any graphic representation. So, to facilitate your work, you can use business diagrams, such as simple flowcharts or Gantt charts for project management and orgcharts for clarifying your company structure. You can use a proper software, like ConceptDraw Pro, draw them on paper, or use whiteboards, but it is more convenient to use a digital tool. This diagram shows a cross-functional flowchart that was made fore telecom service provider. A workflow of a common telecommunication service provider has a rather branched structure. Thus, it is useful to have a flow chart to visualize the sequences and interrelations of the work flow steps. Business process flowchart contains 17 processes and 4 decision points,that are distributed through 2 lines depicting the participants involved. Also there are connectors that show the data flow within processes. This flowchart displays a detailed model of the telecom service trading process, as well as all participants in the process and how they interact with each other. What do you know about restaurants? To have a better understanding, use restaurant floor plans software, and enjoy the result. Registration is going to take just a few minutes, and you will be able to start your experience from tons of examples and free templates. This restaurant floor plan was created with the help of he ConceptDraw Cafe and Restaurant Plans solution. The main feature of this restaurant is small kitchen. Perhaps that is why the designer of this establishment, has paid great attention to interior diversity. The facilities of ConceptDraw DIAGRAM v12 allow him to make this easily. Here are represented tables for two, for three or four visitors. A visitor can choose any of the bright multi-colored chairs and tables. The two tables at the right upper corner attract one's attention. They are strictly decorated and located near the second door. Probably they are for security service of the restaurant, which monitors to ensure that visitors do not run away without paying. A pie chart is a circular diagram showing a set of data divided into proportional slices. There are several variations of this chart such as donut chart, exploded pie chart, multi-level pie charts. Although it is not very informative when a ring chart or circle chart has many sections, so choosing a low number of data points is quite important for a useful pie chart. ConceptDraw DIAGRAM v12 software with Pie Charts solution helps to create pie and donut charts for effective displaying proportions in statistics, business and mass media for composition comparison, i.e. for visualization of part percentage inside one total. All computer networks differ by various params, and their size is one of them. As global area networks are the biggest, personal area (PAN) networks are the smallest. Personal computers, smartphones and other devices that have possibility to connect to Internet form a personal network. This diagram was created using ConceptDraw Computer Network Diagrams to represent a typical components of Personal area network. A personal area network (PAN) is the connection of IT devices around an individual person. This sample of personal area network involves a notebook, a personal digital assistant (PDA), and a portable printer. Commonly a PAN contains such wireless devices as mouse, keyboard, smartphone and tablet. A wireless connection is typical for a PAN.